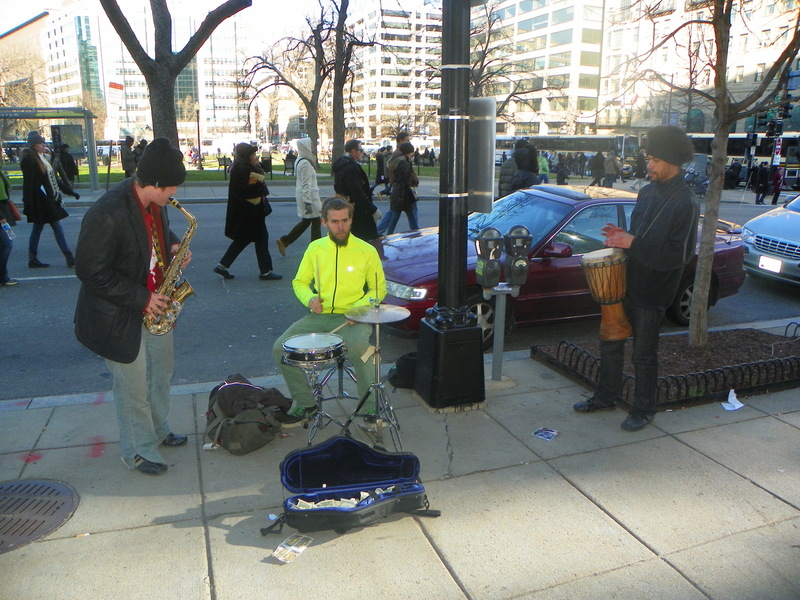 These street musicians weren’t just playing jazz, they were playing avant-garde jazz! Really cool! Ultimately, we had to ride the Metro to get to the appropriate entrance to the Inaugural events, but once we were on the National Mall, there was a sort of awesome feeling to seeing the Capitol building in person and all the crowds of people. We were quite a ways back, but there were TV monitors and speakers around, and we were easily able to hear the selections by the US Marine Band (they played at least one piece by Arkansas composer W. Francis McBeth). There was also a prayer by Medgar Evers’ widow Myrlie Evers, and of course the main speech by President Barack Obama. As the basic ceremony came to an end, our group decided to leave out of the mall area so as to be ahead of the crowds, or at least so we thought. 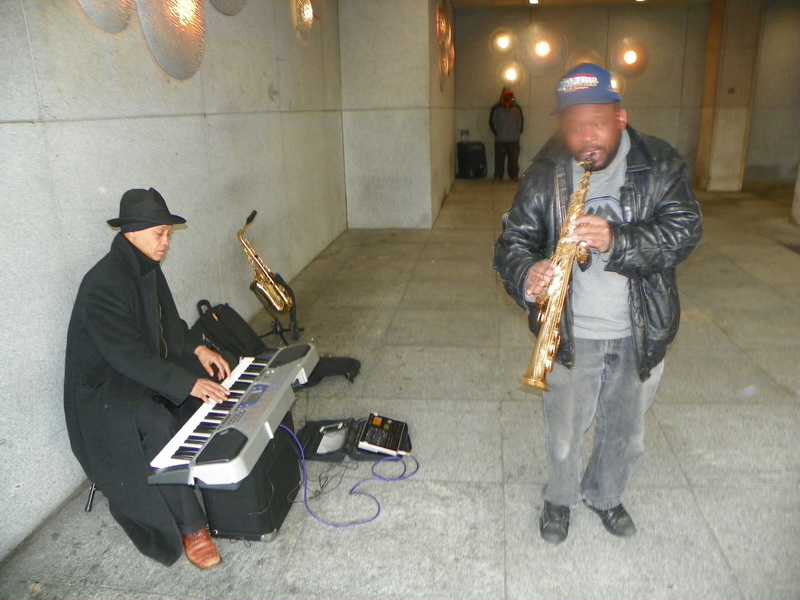 One of the coolest things I noticed about Washington DC was that there are jazz musicians playing in the Metro train stations and on the streets. The morning of the Inauguration was bright but rather cold, and we had to walk a considerable distance to find where we were supposed to enter the event based on the tickets we had. But everyone was in good spirits, and there was a general upbeat mood in the air. At one barricade, we briefly saw President Obama emerge from the National Cathedral after a morning prayer service.